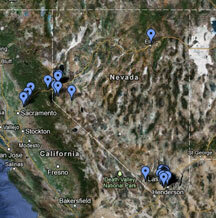 Welcome to the new website and blog page of the Nevada Electric Vehicle Acccelerator, a non-profit task force founded in February 2011 to promote the use of electric vehicles and infrastructure within the state of Nevada. On August 6th, NEVA participated in an electric car rally on the campus of the University of Nevada-Las Vegas, to help support a local screening of the documentary Revenge of the Electric Car. 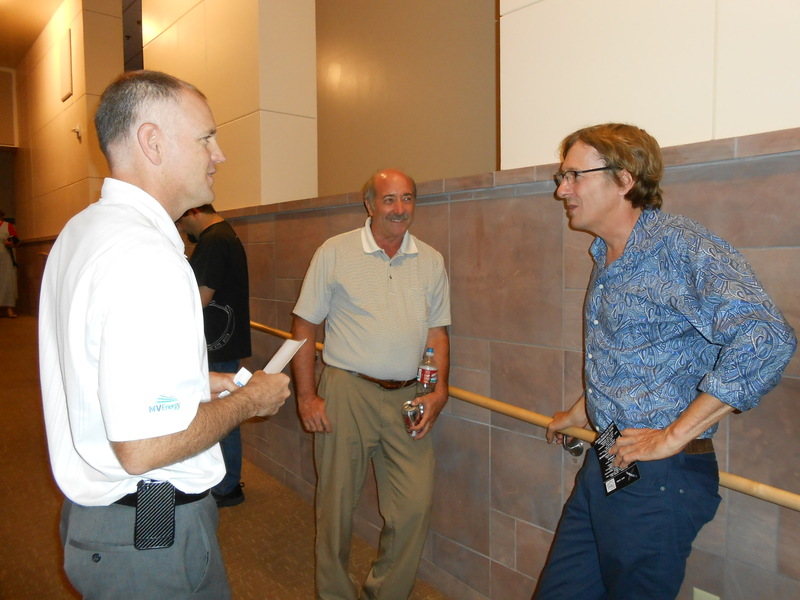 Director Chris Paine attended the event to answer questions and meet the local electric vehicle community. On the following day, Paine spoke during the National Clean Energy Summit 5.0 at the Bellagio Hotel along with Elon Musk, CEO and Chairman of Tesla Motors, who was also featured in the documentary. The “Revenge of the Electric Car” profiled four men, including Elon Musk as he attempted to make Tesla Motors into a credible automotive manufacturer by producing over 2,000 electric Roadster sports cars that were capable of both performance and range. The battery pack in the Roadster allowed the two-seat sports car to travel a distance of 240 miles before it needed to be recharged. 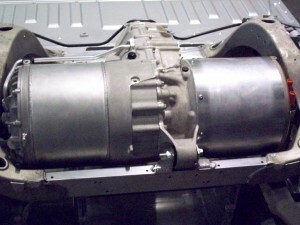 The electric motor power train was also capable of quick acceleration from 0 to 60 miles per hour in under five seconds. Musk and his team not only succeeded in bringing the Roadster to market, but by this year have also begun producing a follow-up Model S. This new electric car has been designed to be one of the best performing automobiles in the world, at a lower cost than the Roadster and with a longer range of 300 miles. 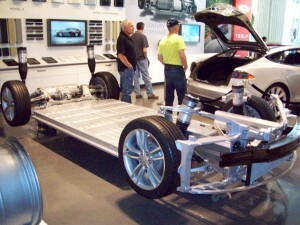 The aluminum Model S rolling chassis is one of the main ingredients to a cost-effective design platform that is also easy to assemble by robots at the Tesla Motors factory in Fremont, California. The electric motor, gearbox and electronics controller/inverter are all neatly integrated between the rear two wheels of the Model S, allowing plenty of room for storage and passenger space inside the body of the vehicle. The relative simplicity of the vehicle design makes it easier to produce more of the its parts within the Tesla Motors factory in Fremont, California. Like Henry Ford before him, Musk and Tesla Motors have taken a hard look at factory automation and decided to employ even more advanced robotics technology on the factory floor. 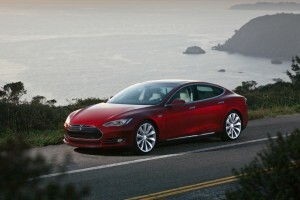 Production targets are to make 5,000 units of the Model S by the end of 2012 and 20,000 vehicles each year after. The company needs to produce and sell 8,000 vehicles to break even on its first production rollout. In 2014, Tesla Motors plans to produce the Model X crossover SUV, based on the same rolling chassis as the Model S. Elon Musk presented this new vehicle and his vision for the company during a February 2012 unveiling. The Model X will add “falcon wing” vertical doors to the rear of the vehicle while also adding a second electric motor between the front wheels to give the Model X all-wheel drive. Model X acceleration in this crossover SUV is 0 to 60 miles per hour in 4.4 seconds, faster than most sports cars. During his speech, he talked about the importance of the next six months to Tesla Motors in ramping up its production and becoming a profitable company with a strong gross margin on Model S sales. If Tesla Motors can make money selling and producing both the Model S and Model X at 20,000 units a year each, this should lead the way to the company being able to realize its third generation of electric vehicles, priced at about $30,000 and produced in volumes of about 200,000 per year. Successful achievements of these goals would grow production by another factor of 10 in about five years.